Founded in 1973, the Boston law firm of Lawson & Weitzen, LLP offers all the advantages of larger, multi-service practices, with the responsive, personal attention today's clients expect. Lawson & Weitzen, LLP prides itself on being a different kind of law firm, one that measures success by its value to clients. Purposely situated in the convenient, accessible "New Boston" a thriving city district near the World Trade Center and the Federal Court House the firm offers timely, effective and quality services at fair and affordable fees. The law office of Lawson & Weitzen, LLP will represent your Personal Injury legal matters. Richard Weitzen was educated at Northwestern University, where he earned his B.S.B.A. from the Kellogg School of Management with a major in Accounting. Thereafter he earned his JD from Boston University School of Law. Mr. Weitzen has been practicing law for over forty years, having initially worked in the public sector, then opening his own law firm and finally joining with Evan Lawson in 1980, forming Lawson & Weitzen, LLP where they have continued their practices and grown their firm to one of the largest New England Regional law firms with forty plus attorneys. 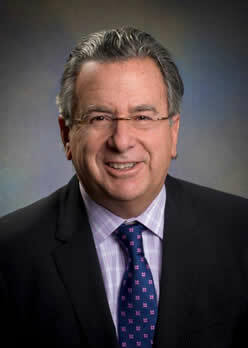 Mr. Weitzen is the Managing Partner of Lawson & Weitzen, LLP. What is my personal perspective on the delivery of legal services to our clients? No different than yours. When our clients seek assistance on a business or personal legal matter, they want and expect their lawyers to deliver: personal and undivided attention, a clear understanding of the facts, knowledge of the applicable laws, regulations and case decisions, identification of relevant issues, an in-depth and astute analysis, development of creative, workable and cost-effective solutions, timely and direct implementation and/or achievement of goals and resolution through effective communications, negotiation, mediation, arbitration and/or litigation, and all at fair and reasonable fees. Isn't that what you want? That's what I would want and that's what our firm delivers. Richard Weitzen represents a variety of individuals and closely-held businesses, both well-established and start-ups, their owners, operators and employees, on both business and personal matters, who have the need for sophisticated, effective and practical, legal services. Mr. Weitzen complements his business work with an extensive real estate and employment law practice. For his business clients, Mr. Weitzen develops business strategies, provides counsel on implementing business decisions, negotiates leases, works with company accountants, handles contracts and commercial transactions, negotiates mergers and acquisitions, works with lenders regarding financings, handles employee matters, performs services in the sale or disposition of assets and sale of businesses and is always available as needed. Mr. Weitzen is the firm's Managing Partner. As Managing Partner, Mr. Weitzen can assist and direct you to the attorneys at the firm most qualified to answer your questions and address your legal concerns. Don't hesitate to email or call Mr. Weitzen for his input. Creative and Effective Problem Solving for Businesses and Individuals.